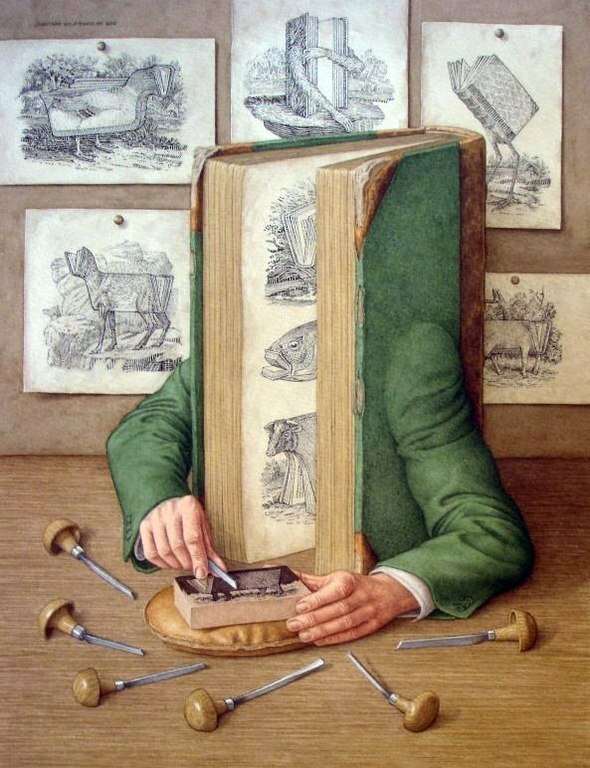 Jonathan Wolstenholme is a British artist and illustrator best known for his amazingly detailed works deriving from a love of old books. 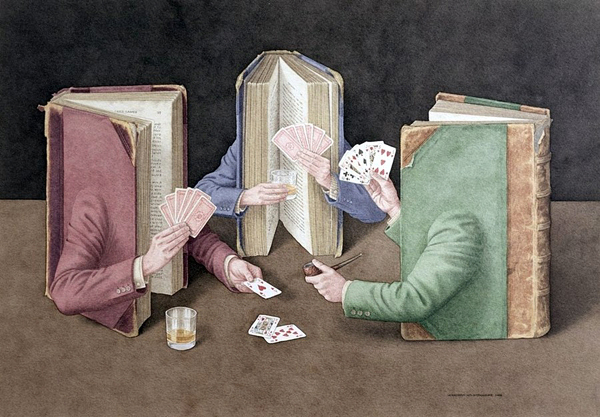 Books on Books is a series of illustrations in which the book world is being described by… the books. 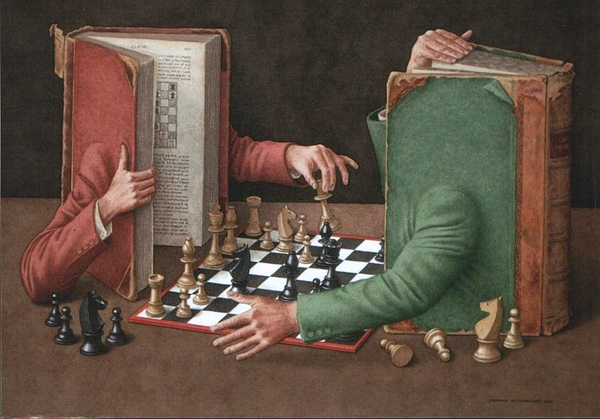 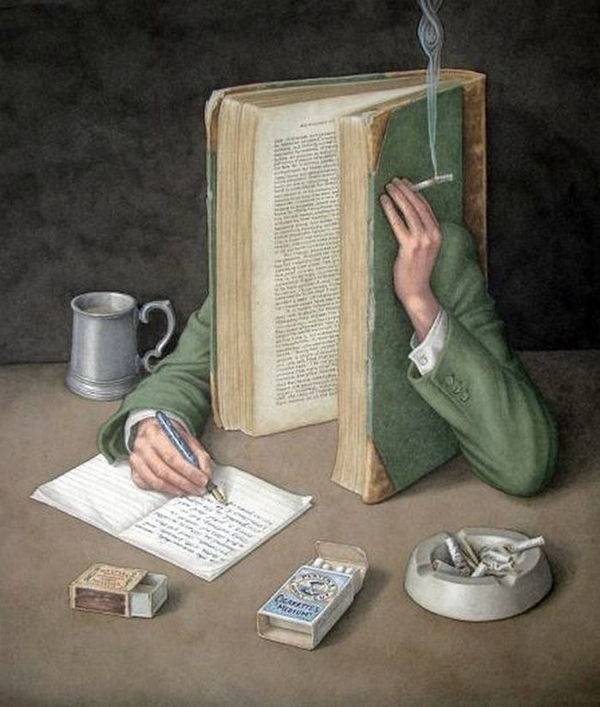 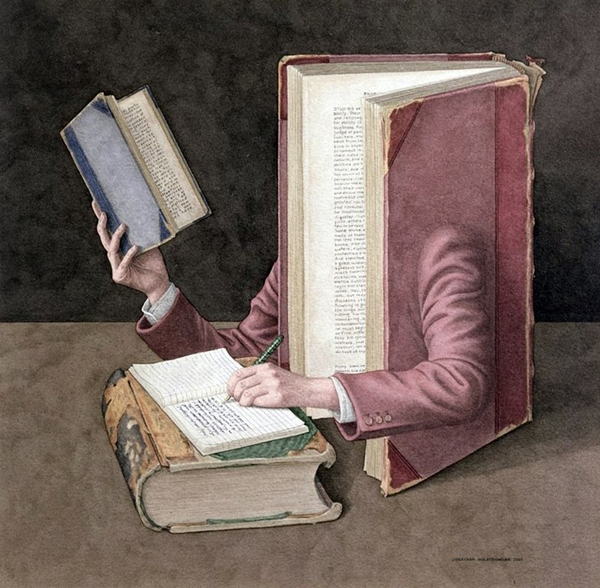 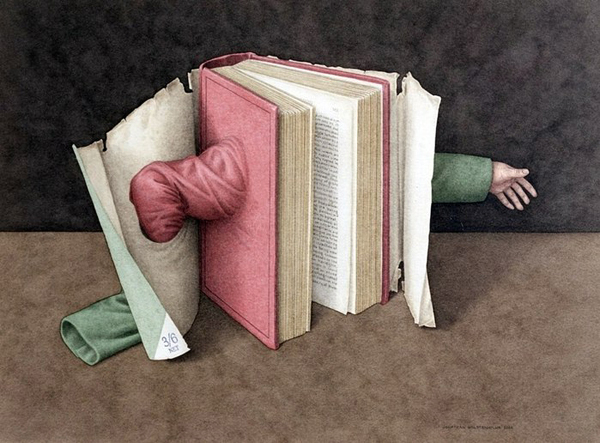 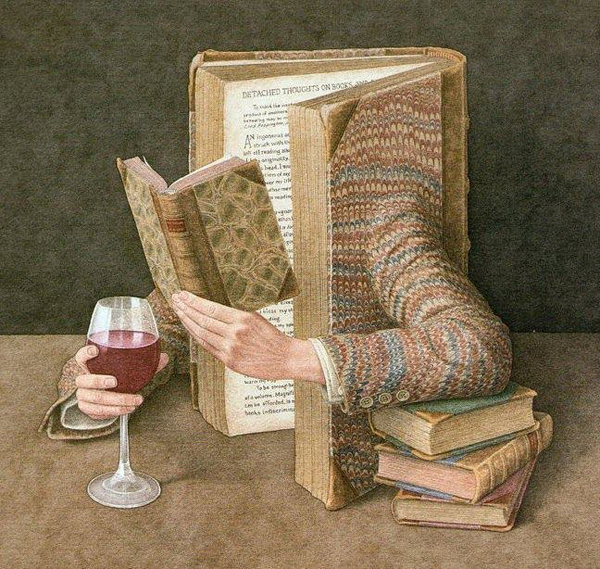 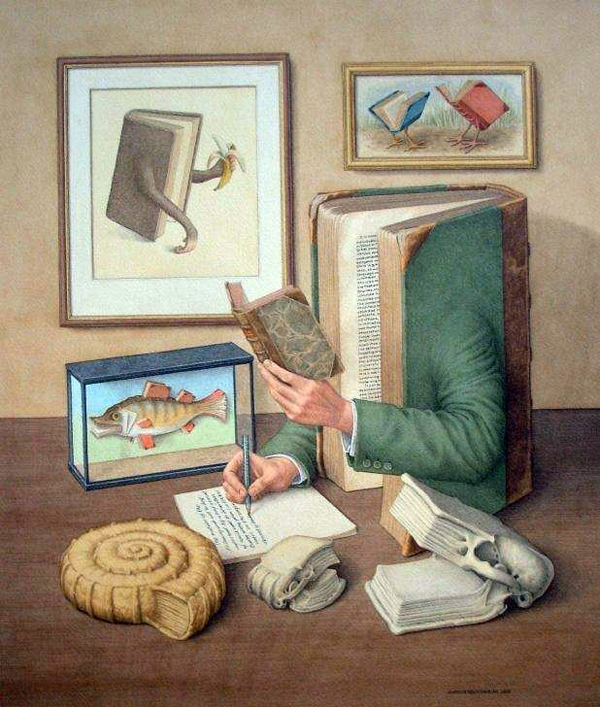 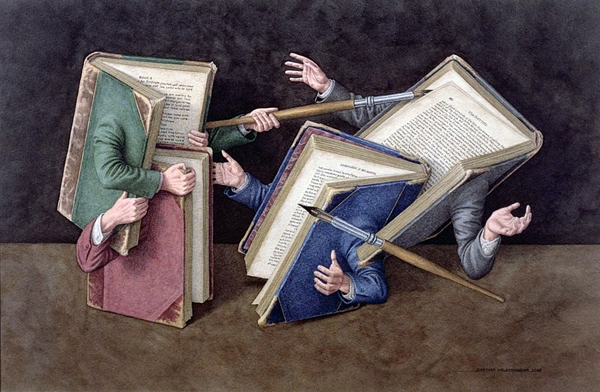 Jonathan Wolstenholme combines his appreciation of surrealism, his fondness for antiquarian books, and his wry humor in creating his clever and engaging anthropomorphic images. 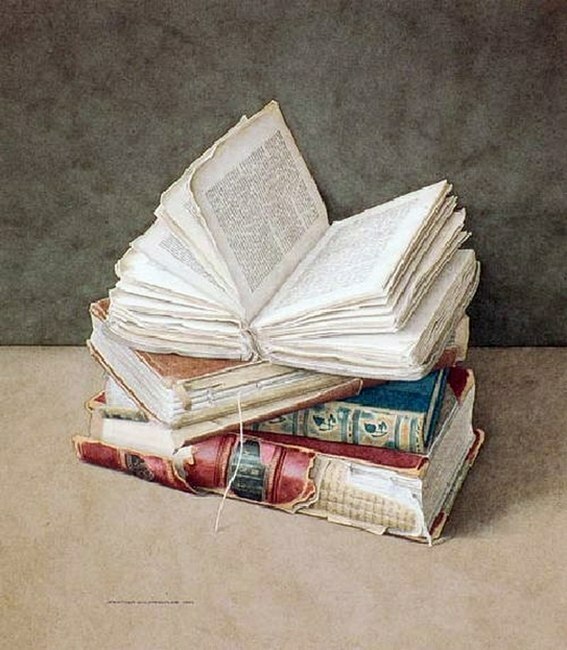 In doing so, he has created a popular niche for his art, and brought attention to a disappearing art-form; the ancient hallmark of creating books.